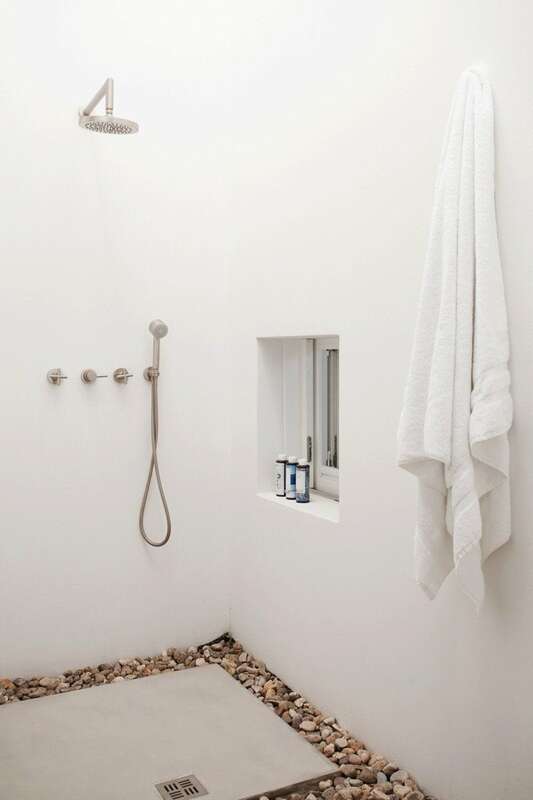 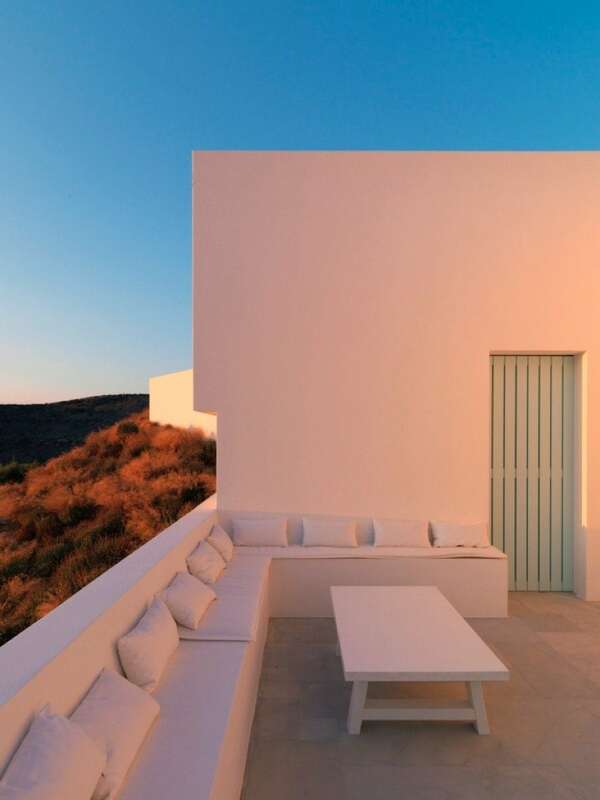 The villa is built mostly underground, in order to conceal its 720 square meters from view, and the zig-zag shape of the facade references the irregular volumes of traditional Cycladic houses. 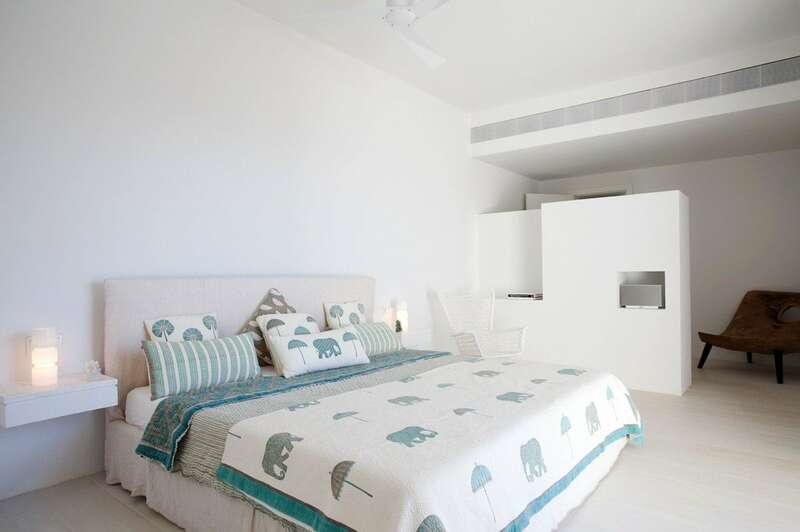 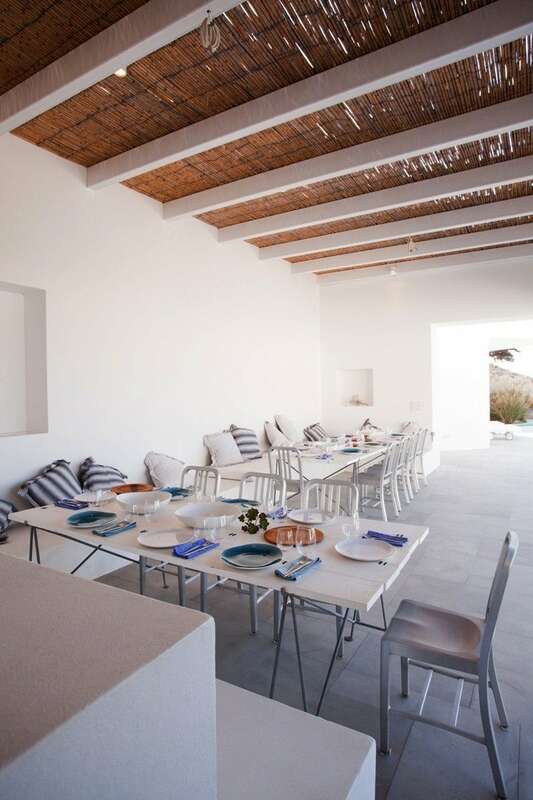 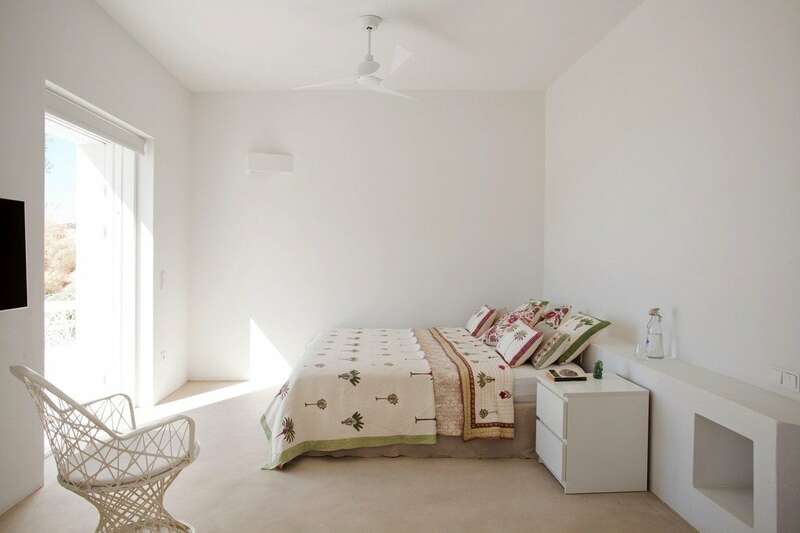 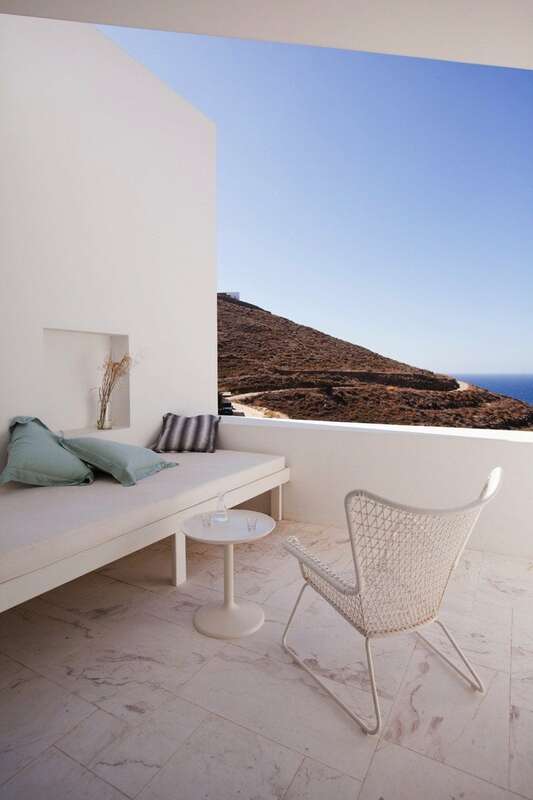 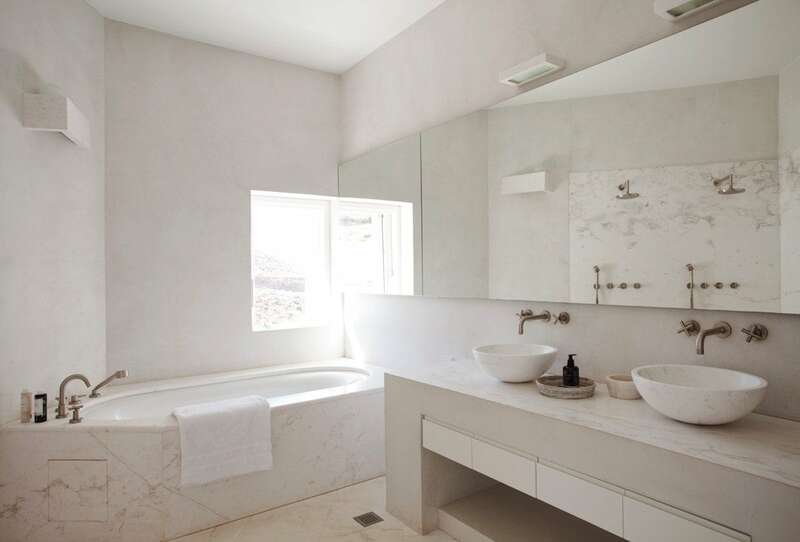 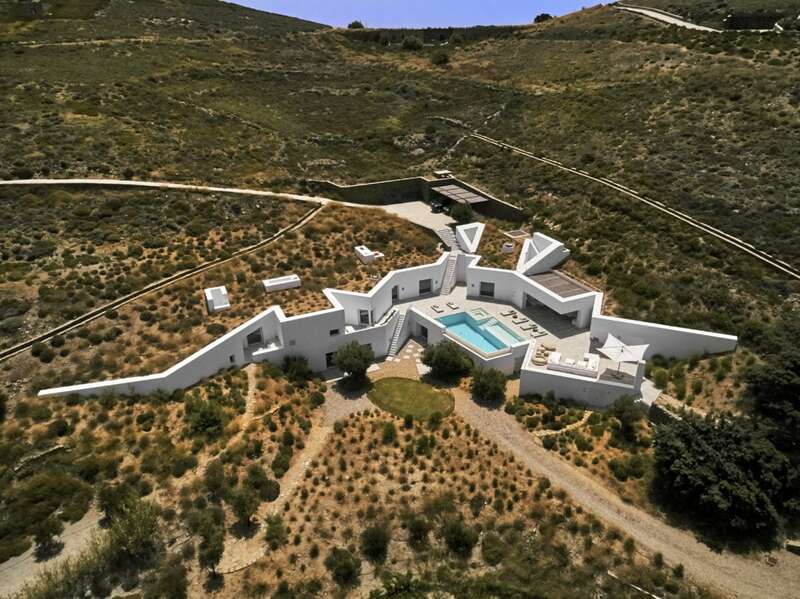 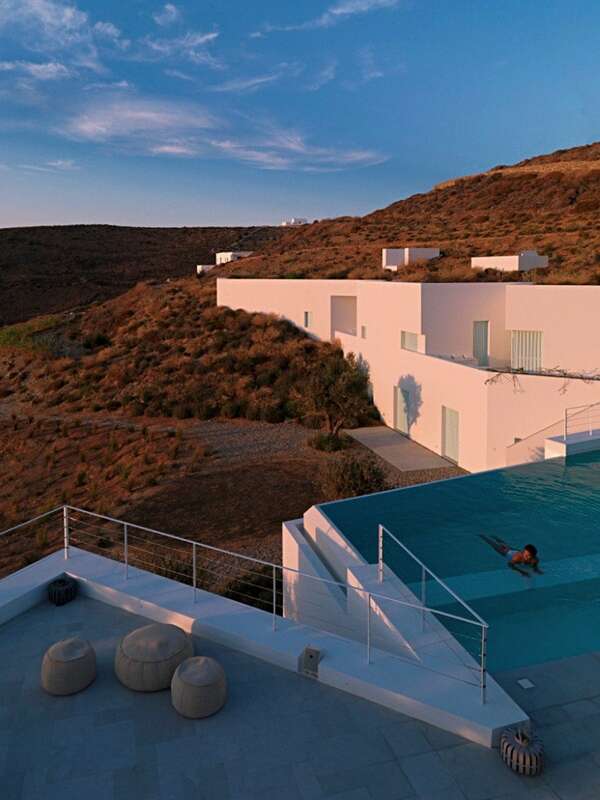 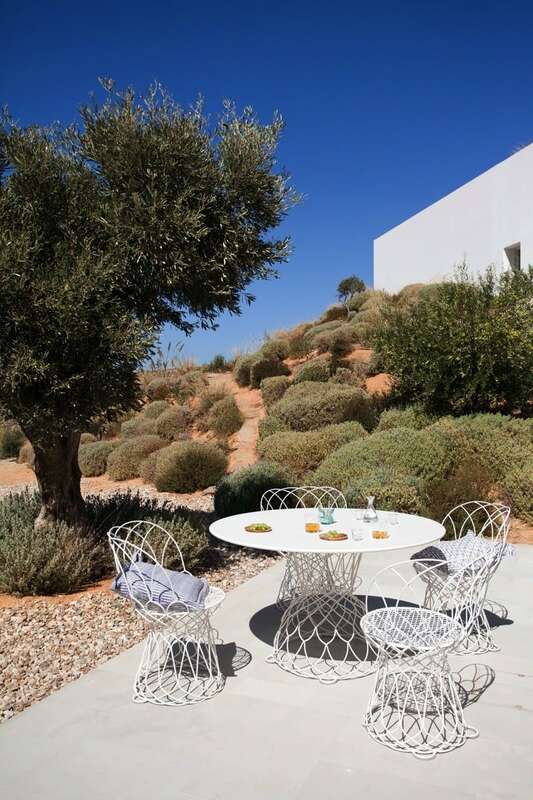 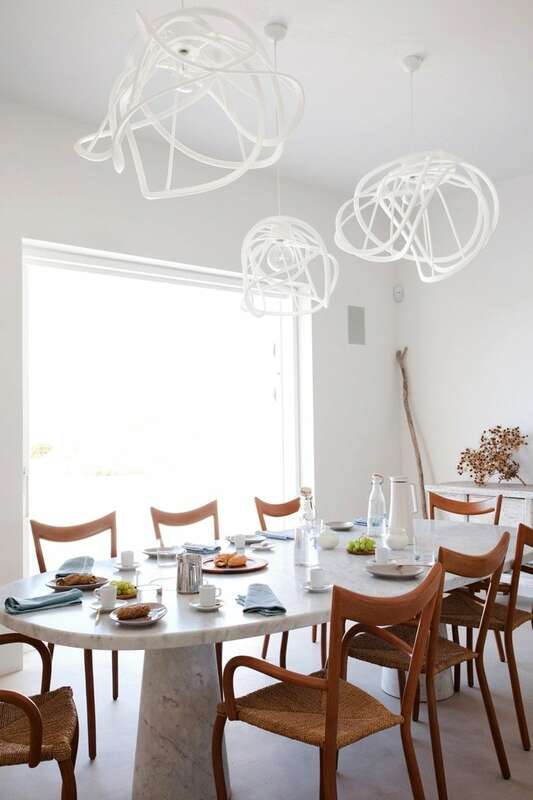 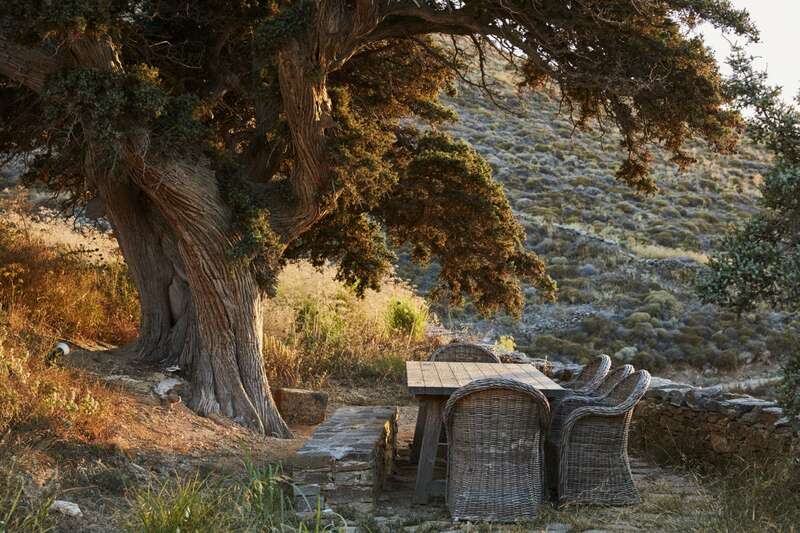 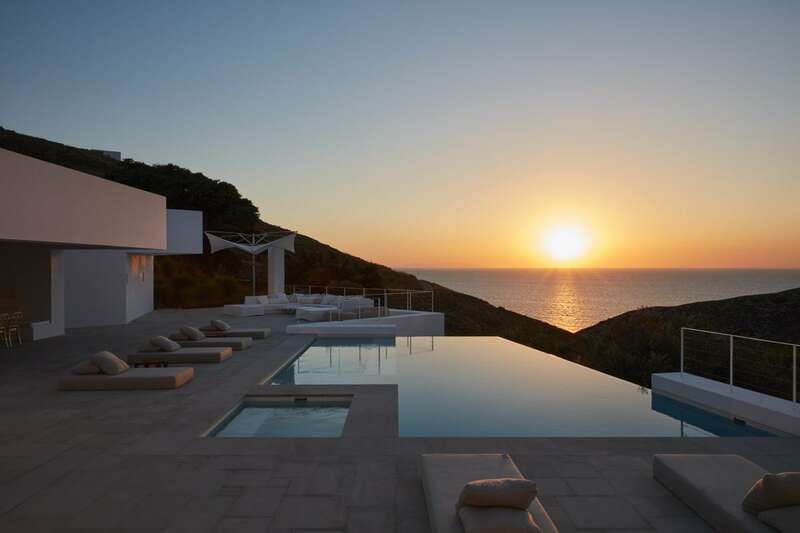 Situated on a perfectly quiet and private part of the island, Ktima is part of the award-winning Antiparos Project by Oliaros; as such it is the result of personalised, top-notch design, and offers the best in quality and comfort. 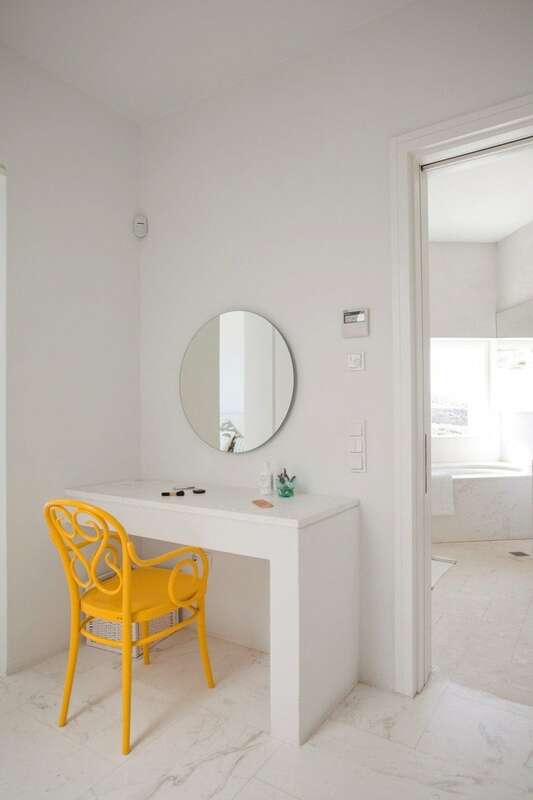 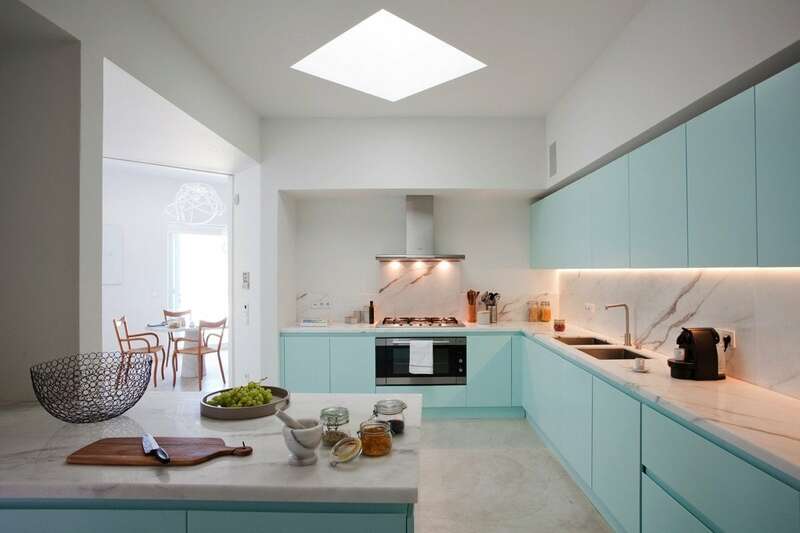 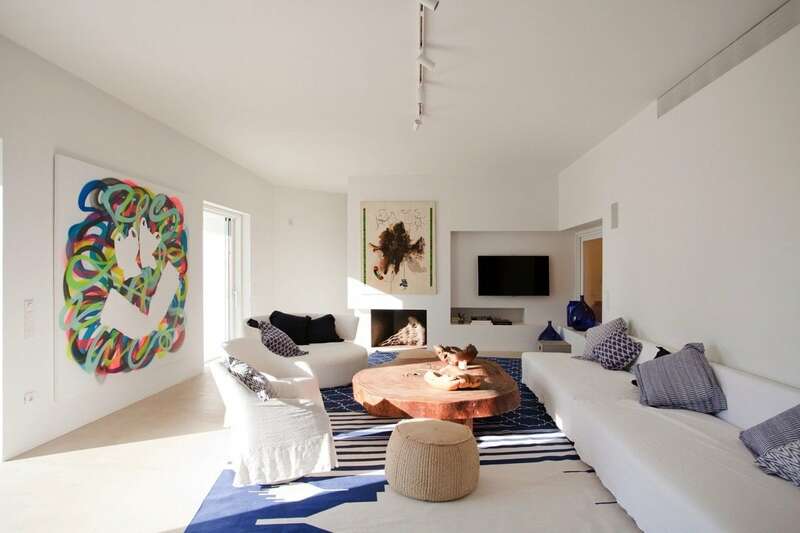 Tastefully decorated interiors and a subtle colour palette create a serene and exhilarating atmosphere, but small dashes of colour add variety and an element of fun to the overall design. 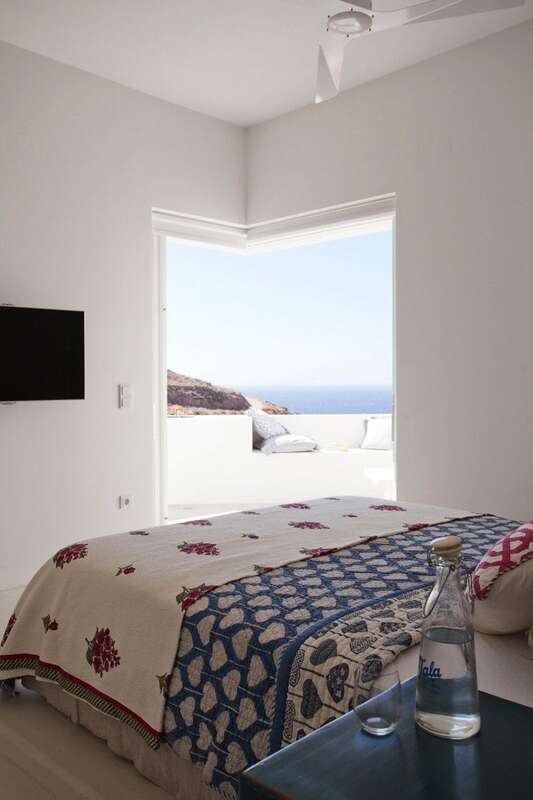 Through its many doors and windows, the villa opens generously to the outside, providing ample space for entertaining friends or relaxing in complete privacy all day long. 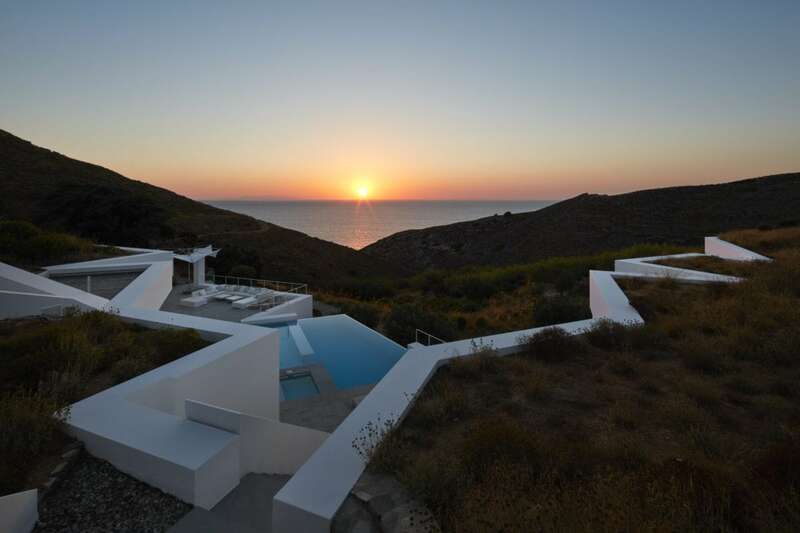 Guests choosing this property will be rewarded with majestic sunset views every evening, as the house and its infinity pool are perfectly aligned with the setting summer sun.